Getting used to life without the use of opiates is not easy, and if you have ever experienced it first hand, you will already know how uncomfortable, and down-right debilitating it can be. However, not all hope is lost. Using Kratom for opiate withdrawal could be one of the best decisions you will ever make. Also known as Mitragyna Speciosa, Kratom is a tree that is native to Thailand, Indonesia, and several other South-East Asian countries. What does a tree from a foreign land have to do with opiate withdrawal? The alkaloids found in Kratom are similar in structure to the ones found in Yohimbine, but for reasons which have only recently been discovered, the leaves of the Kratom tree have been known to produce opiate-like effects, without causing the dependencies that a regular opiate would. 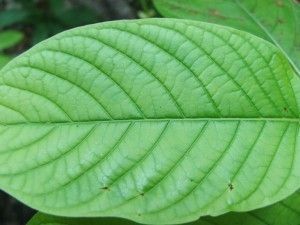 Because of this, many people have decided to consume Kratom leaves to help ease the pain, and suffering of opiate withdrawal, without any sort of vicious side-effects. Kratom can be consumed in several ways, including resin, capsules, powder, and oils, but the majority of people prefer brewing the leaves into a tea. How Does Kratom Help With Opiate Withdrawal? The Alkaloids, which we briefly mentioned before, are responsible for the opiate-like effects which can be felt when consuming the leaves of the Kratom tree. Mitragynine, one of the alkaloids present in Kratom, is a stimulant, and when combined with the sedative effects of 7-hydroxymitragyine, another alkaloid, the μ-opioid receptors in the brain can’t tell the difference between Kratom, and a real opiate. Whether your opiate withdrawal symptoms are mild, or severe, it is always recommended to keep Kratom leaves on hand, before you take the journey to opiate freedom. Different varieties of Kratom will provide different benefits, and each will target a specific symptom more than any other. Finding the right balance can be difficult, and time-consuming, but time is of the essence in this scenario, so for the best results, you can try a combination of both red Kratom (Premium Bali Red, or Thai Red are the most common), and green Kratom (Maeng Da is usually the best recommendation). Going gold turkey with opiates is extremely difficult, so using Kratom for opiate withdrawal can help make your transition from addict, to completely clean, a lot smoother and considerably less painful. As with the majority of other new medications, the amount required to maximise the effects will differ from person to person. Age, activity level, and your height and weight will all come into play when trying to find the perfect dosage. The recommended dosage, in powder form, is 2-4 grams for your first time. After 30 minutes, if the effects are dire, and you think you could handle more, then adjust accordingly. Increasing your dosage by 1 gram, every 30 minutes should be sufficient, and you will find your optimal level before long. How long do the effects of Kratom last? Again, that will vary greatly, depending on your individual physiology, but 4 to 5 hours is typical, across the majority of Kratom users. As soon as you feel the symptoms of opiate withdrawal returning, it’s time to re-dose. While Kratom is not an addictive substance, it is still a medicine that your body will start to adjust to. To prevent any further withdrawal symptoms, it’s always better to wean yourself off of Kratom slowly, over the space of a couple of weeks. This will be easier on your body, and as soon as you have finished with the Kratom, your opiate withdrawal symptoms should be non-existent. How To Take Kratom For Opiate Withdrawal? Simply tossing the Kratom powder in your mouth, and washing it down with a beverage of your choice. Quick, and painless! 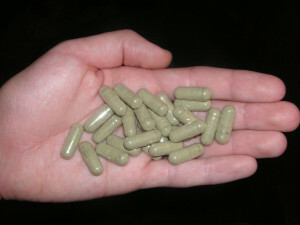 The best place to buy Kratom Capsules is at KratomCapsules.com. They offer a large variety of encapsulated kratom at a very good price and their blends work great for combating opiate withdrawal. You can also add your dosage to a gel capsule, and take it with water, like most other medication. This one is recommended if you can’t stomach the taste of Kratom. 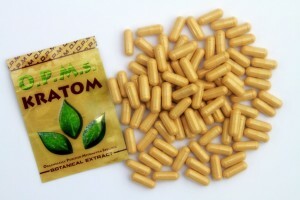 Kratom tea is probably the most common method used to consume Kratom leaves. Simply apply your desired amount of powder to a pot of boiling water, and let it simmer for at least 20 minutes. Remove the pot from the heat, strain out the Kratom leaves, and enjoy your brew. If you have a soft spot for flavored milk, then Kratom milk is another way to take Kratom for opiate withdrawal. Simply toss the required amount of powder into your favorite milk, give it a shake, and enjoy. The high fat content helps bind with the active ingredients in the Kratom powder, making this method quick, and effective. Using Kratom for opiate withdrawal is not only one of the most effective methods available, it is also generally the safest. Finding the perfect dosage to suit your individual needs can take a little bit of trial and error, but it’s ease-of-use, and it’s ability to completely kick your withdrawal symptoms to the ground, make it the perfect choice for anyone suffering from opiate withdrawal. This dosage guide is based off capsules from KratomCapsules.com. From what I’ve found, they have the most powerful capsules available. Other capsules from different companies may vary!